Corrosive marine environments such as offshore oil rigs, shipyards, and maritime facilities present special challenges for pneumatic actuators. Proper selection of actuator design is important for long, trouble-free life. Salt-laden dust and high humidity take a harsh toll on the internal and external parts of any industrial equipment if not properly designed and protected. For example, rack & pinion and scotch-yoke actuators are particularly susceptible because of the relative ease of penetrating the actuator and affecting their critical components, such as metallic gears and coil springs. Spring-return rack & pinion and scotch-yoke actuators further complicate the issue because they require the intake and venting of ambient air, along with any contaminants in the air. Rotary vane actuators, (such as Kinetrol) provide strong immunity to internal corrosion. First, they have no internal gears or springs to corrode. Second, the internal surfaces are coated with a very durable, epoxy enamel finish and all internal hardware is made from stainless steel. Additionally, the “wiping” action of the vane and lip-seals provide a self-cleaning effect that prevents corrosion in the working areas. Finally, unlike rack & pinion and scotch-yoke actuators whose coil springs are bathed in ambient air, (Kinetrol) vane actuators use externally mounted clock type springs that are 100% sealed from ambient air/gasses and are unaffected by corrosive atmospheres. 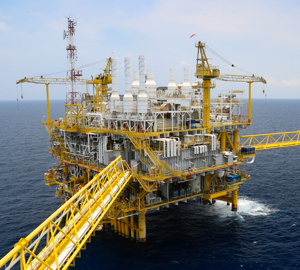 For any application where corrosion is a problem, such as those in offshore platforms or other marine facilities, engineers should strongly consider rotary vane actuators as the preferred choice for any quarter-turn valve application. More Kinetrol Vane Actuators Hard at Work!